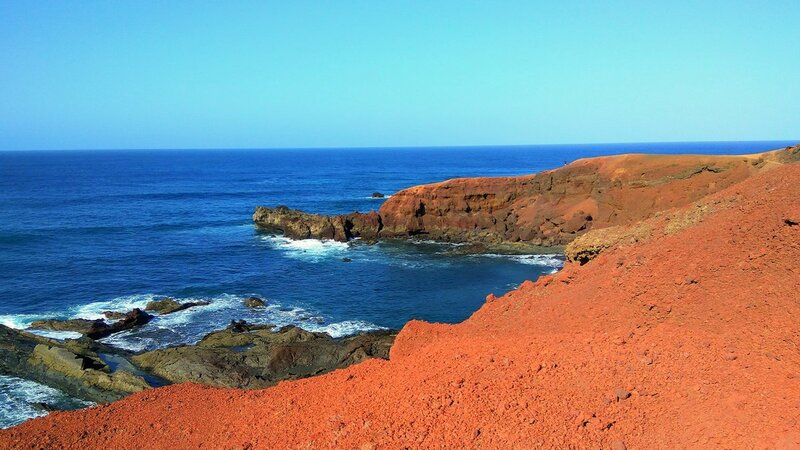 Lanzarote is exceptional! Born from fire and water millions of years ago, it emerges majestically from the Atlantic Ocean. 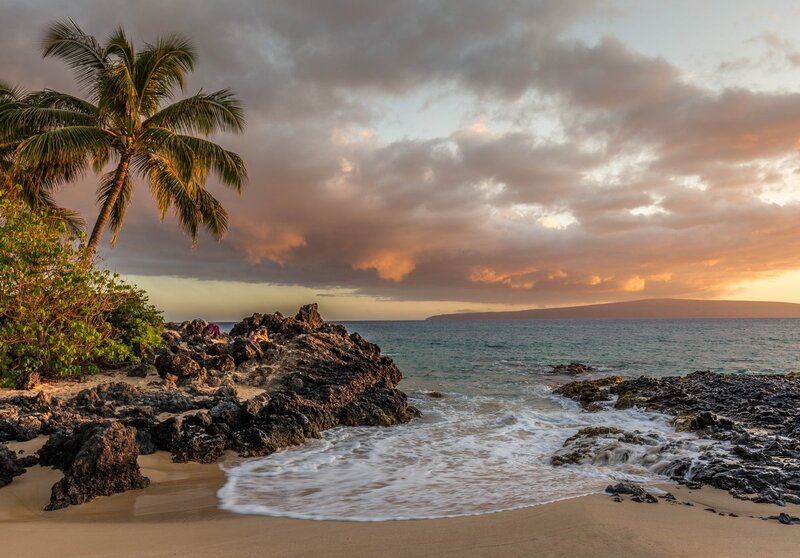 Enchants with the exotic beauty of volcanic landscapes, colours of the sky, beaches bathed in sunlight, intensely blue ocean and elegant local buildings. 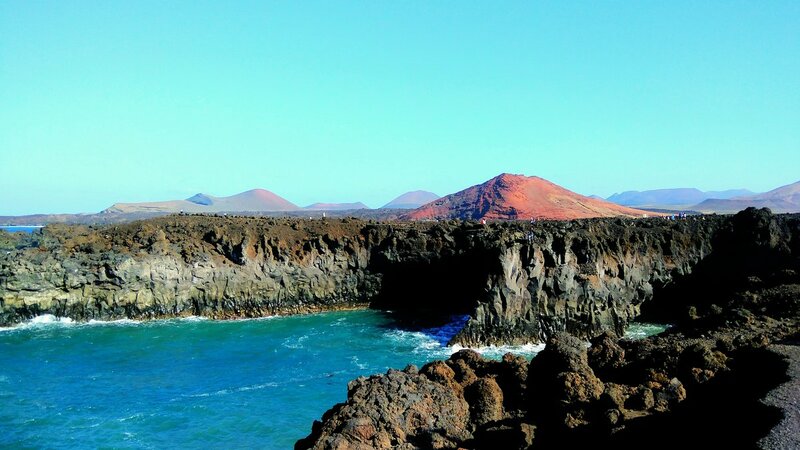 Lanzarote, considered to be a miracle of nature, in 1993 was entered onto the UNESCO List as a World Biosphere Site. The greater part of its surface is covered by torpid lava, over which more than 300 volcanic cones dominate. 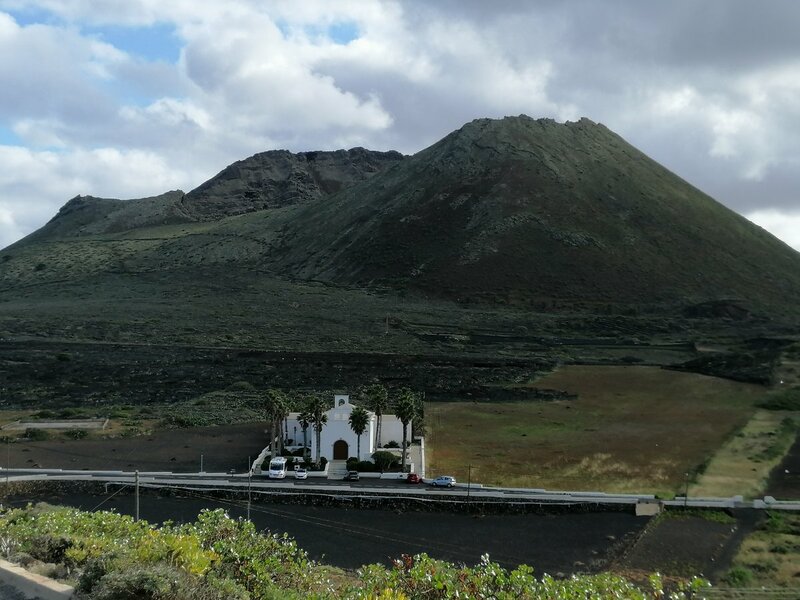 One of the greatest tourist attractions of the island is the Timanfaya National Park established on areas covered by volcanic eruptions between 1730-1736. The extraordinary landscape is in harmony with art. The residents observe traditional styles of building. Outside the capital of the island, Arrecife, there are no high structures. 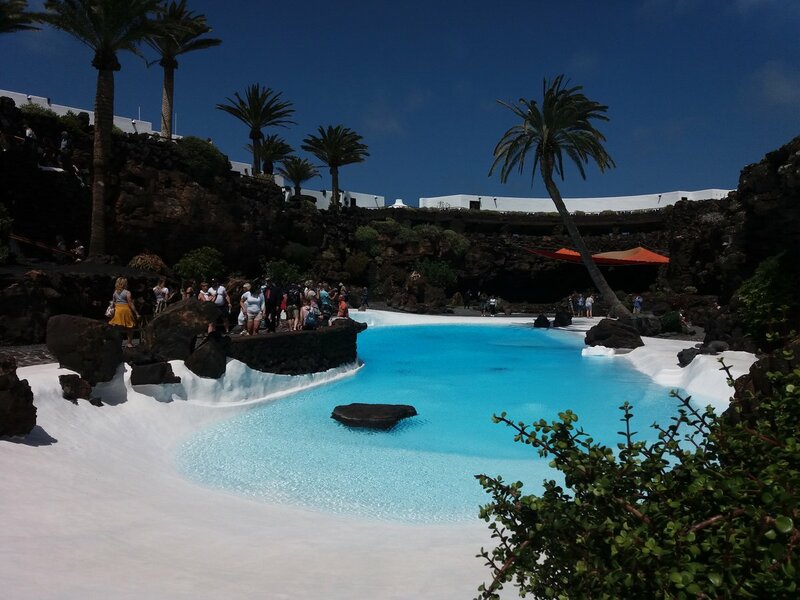 This is the merit of artistic conceptions of developing the island by Cesar Manrique, thanks to which Lanzarote is not marred by concrete hotel villages. Even the popular resorts of the island have preserved their Canarian nature. Tourists mostly visit the vibrant Puerto del Carmen and the little more peaceful Costa Teguise and Playa Blanca. 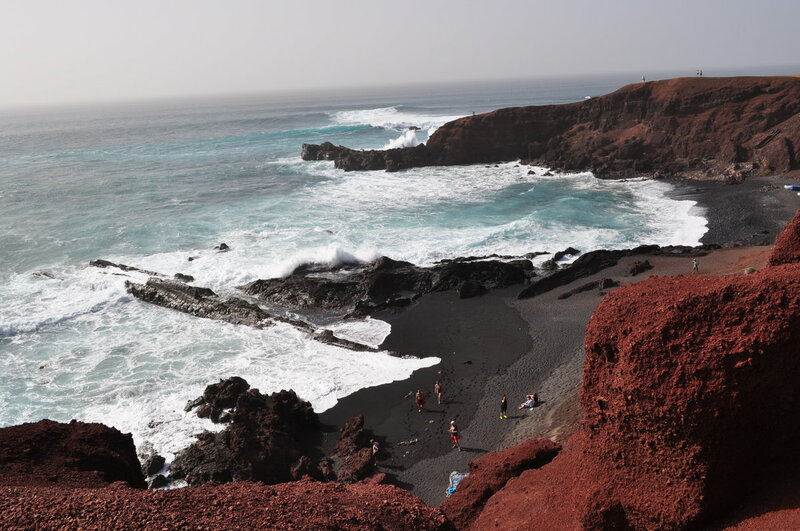 Every beach is different, has different colour and texture of sand: the beach in Puerto del Carmen is over 6 km long, Papagayo is extremely charming, Playa Blanca is beautiful golden sand, while Costa Teguise offers terrific conditions for watersports. In the southern part of the island you can also see black beaches. 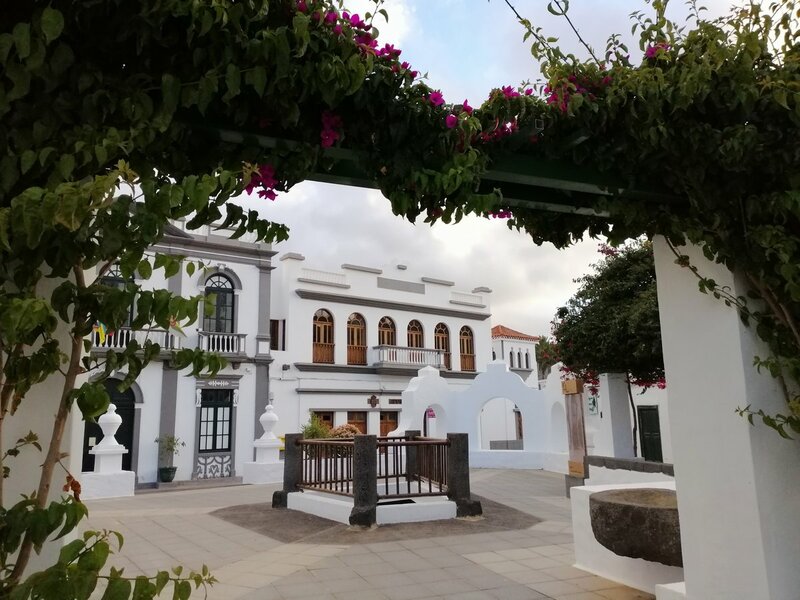 COSTA TEGUISE - one of the main resorts of the island, near Arrecife, a great place for a family holiday recommended to enthusiasts of active relaxation and complete relaxation. There is an aqua park here, an 18-hole golf course, several restaurants and bars, and most of all great beaches: Famara, Las Cucharas, which is 640 m long, with yellow sand, breakwaters, a paradise for windsurfers, and 3 smaller ones: Los Charcos - 150 m, light sand, El Jablillo - 350 m, sand and shingle, and Bastian - 400 m, sand and shingle in Las Caletas. Pilot: tourists are looked after by a Polish resident, whose tasks include help upon arrival, departure and stay, as well as registration for local trips. Flight duration: Poland-Arrecife – approx. 5 h.
Language: Spanish; communication in English also possible. Capital of the island: Arrecife. Prices in the hotel and restaurant: lunch – from 12 EUR, soft drink – approx. 2 EUR, beer – approx. 2 EUR, wine – approx. 4 EUR. Transport: efficient and inexpensive (taxi, local buses). Beaches: free entry; beach service (2 sunbeds + umbrella) – approx. 10 EUR/day. Local trips: organised by local tourist agencies on terms specified by them. There is a possibility that, if there is not enough participants, a trip may be canceled. You can always find up to date information about security in this country on your Ministry of Foreign Affairs website. Fuerteventura from Lanzarote — a trip to the neighboring island of the archipelago. Passage through Cardon mountains - Cinnamon Hills, a visit to the town of Pajara with a church with fragments of the facade in Aztec style. Then a visit to Betancuria - the first capital of the island, sacred art museum, coastal caves in Ajuy city, tasting fine goat cheeses, lunch at a restaurant. The the route run north, passing La Oliva, through the oldest resort of Corralejo. At the end, a visit to the famous landscape park with dunes. Day trip. Price - approx. 72 EUR (includes a ticket to the Playa Blanca-Corralejo ferry, entrance ticket, lunch and drinks, the care of a Polish-speaking guide). 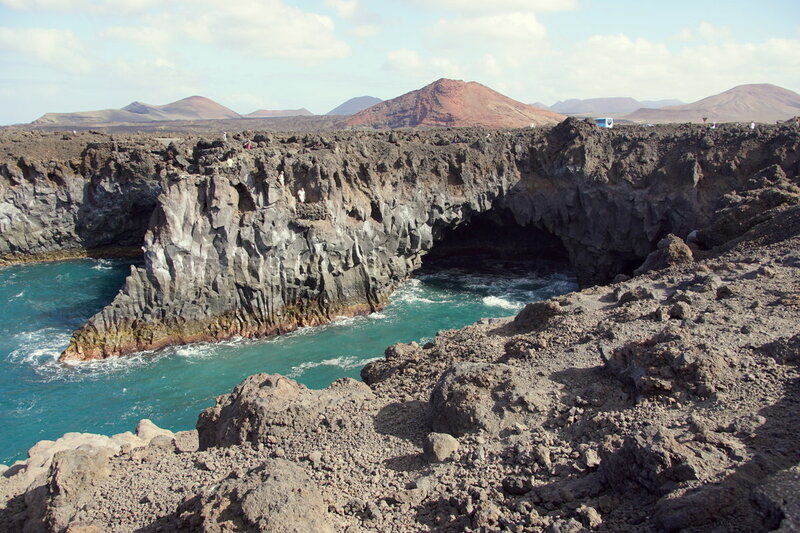 Grand Tour Lanzarote — visit in the region of La Geria, the landscape of which consists of torpid lava and volcanic ash. This region is famous for its unusual methods of wine-growing. Transfer to the north of the island to Jameos del Agua - a cave adapted by a local artist, Cesar Manrique, then to the Thousand Palm Trees. Lunch break. Ascend the Pico del Chache, the highest peak of Lanzarote, from where there is a beautiful view of the La Corona volcano. 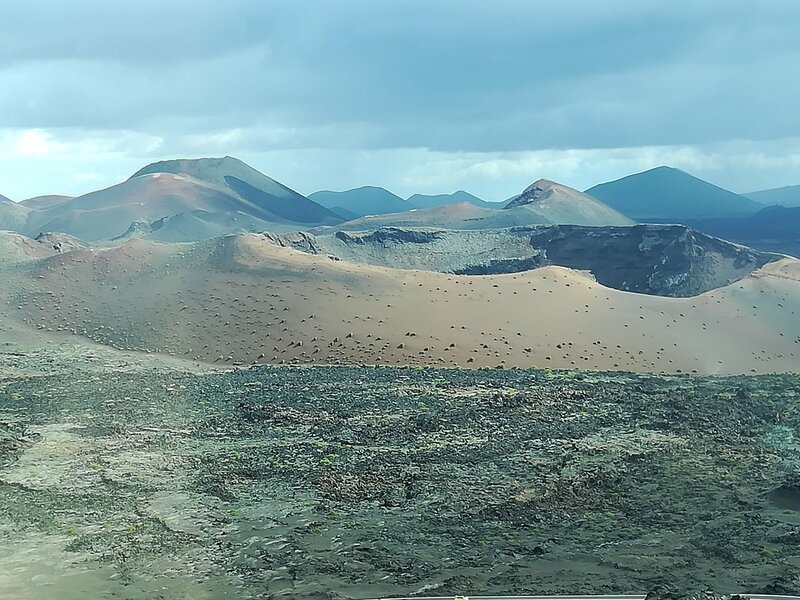 Drive along the west coast to the main attraction of the island: the Timanfaya National Park, with the youngest volcanoes in Lanzarote, called the Mountains of Fire, observation of geothermal phenomena. Then drive via Ruta de los Volcanes - a route between solidified lava and craters. The program also includes Los Hervideros - Boiling Coast, the place where hot lava joins the Atlantic, El Golfo - crater lake of a unique emerald color. Day trip. Price - approx. 65 EUR (includes lunch and entry tickets). 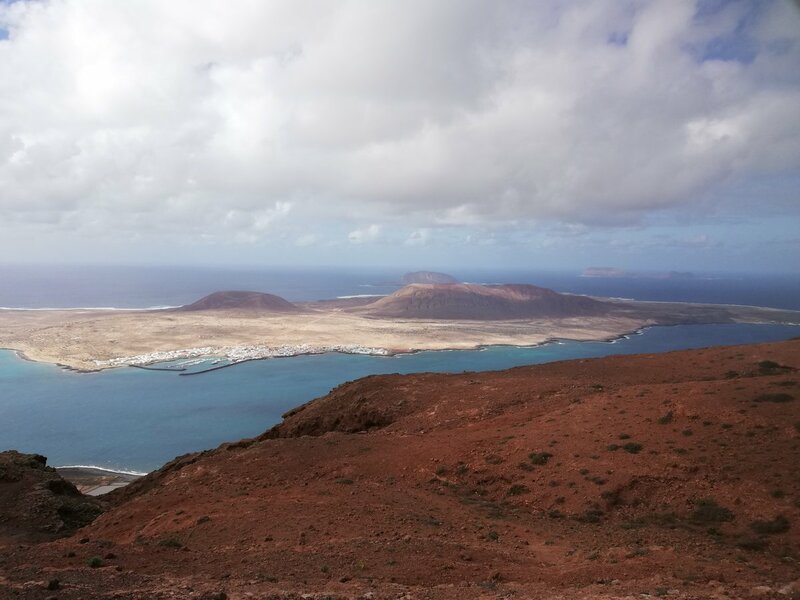 I love La Graciosa — a catamaran cruise - expedition on a ship to La Graciosa - the smallest inhabited Canarian Island. Then a catamaran cruise around the island. Beautiful unspoiled scenery and an unusual calm prevailing on the island - these are just a few of the advantages that attract mainly people who wish to rest and unwind. 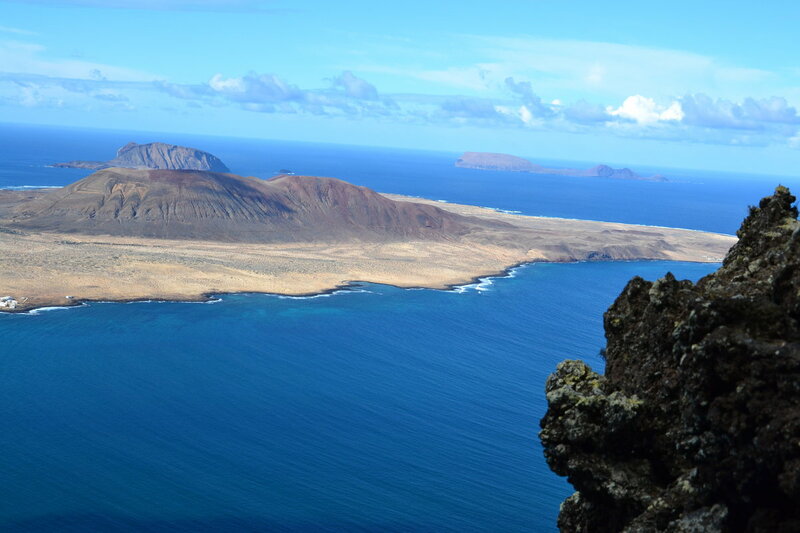 La Graciosa has breathtaking views, crystal clear water and a unique town of 600 inhabitants. The programme includes a short tour to Caleta de Sebo, sunbathing, snorkeling and kayaking (it is recommended to take swimsuits and towels). Price - approx. 59 EUR (includes: Polish-speaking pilot on Thursdays or English language guide on other days). Diving in Lanzarote — endless shoals of fish, lovely crabs and fabulously colorful parrotfish - these are just a few of the many attractions waiting in the clear and captivating beautiful waters of the ocean. And all this under the supervision of experienced instructors who speak Polish and English. Price - approx. 85 EUR. Diving in Lanzarote - Intro — a number of professional training courses for adults and children. Endless schools of fish, lovely crabs and fabulously colourful parrotfish - these are just a few of the many attractions waiting in the clear and captivating beautiful waters of the ocean. And all this under the supervision of experienced instructors who speak Polish and English. Price - approx. 75 EUR. Rancho Texas — zoo and botanical amusement park, where you can admire the shows of birds of prey, performances of sea lions and stunts of parrots. Here you can also encounter American fauna: bisons, armadillos and animals from other regions of the world e.g. white tigers. There is a swimming pool with 2 slides in the park (it is recommended to take bathes). A great adventure for the whole family! Free transfer to the amusement park twice a day. Price - approx. 30 EUR. Romantic photo session — a professional photo session with a Polish-speaking photographer. Session hours are agreed individually. Price - approx. 199 EUR. Panoramic trip VIP — wild corners of the north-east part of the island. Stops in many picturesque places, including, among others, Haria, where Cesar Marique lived, Punta Mujeres with cottages "entering the ocean", the paradise beach at Orzola village and the viewpoint on La Graciosa island. A trip in small, 8-person groups. Price - approx. 43 EUR. Monte Corona — hike with a guide starts in Yé village. While trekking, enjoy the mountain, which is the largest volcanic crater in the north of the island. At the beginning of the walk, breathtaking landscapes of vineyards from the edge of the crater, then admiring the amazing views surrounding the mountain. Then, the program includes a lookout point over the cliffs of Famara, from where you can see the largest marine reserve in Europe, the Chinijo Archipelago. Half-day trip. Price - approx. 42 EUR. I love Lobos — catamaran cruise - a trip from Marina Rubicón to the Lobos island, a natural park. Explore the corners of a formerly inhabited island with the remains of a fishing village, as well as natural swimming pools. Lobos also offers fantastic views of Fuerteventura and Lanzarote, and charms with its crystal clear water and wilderness of nature. On board lunch, beer, sangria, water and soft drinks. The program includes sunbathing, snorkelling and kayaking. Remember to take your swimsuit and towel. Price - approx. 64 EUR, children aged 2-11 - approx. 38 EUR (includes: lunch, beer, sangria, water and soft drinks). I love Papagayo — coach ride to Puerto del Carmen and then a catamaran cruise along the south coast to the bay with a beautiful view of the Papagayo beach. It's time to relax and enjoy water sports such as snorkelling and kayaking. On board an exquisite, freshly prepared paella, beer, sangria, water and soft drinks. Return to Puerto del Carmen and coach ride to the hotel. Price - approx. 59 USD (includes: lunch, beer, sangria, water and soft drinks). Local excursions are organized by local travel agencies under the conditions fixed by them. It's possible to disorganize trips due to low number of applicants. Copyright Nowa Itaka. All rights reserved.